Hello lovelies! It's the start of another brand new week and I hope everyone had a wonderful weekend! Today, 22 April 2013, is Earth Day and across the globe, more than a billion people will take part in activities to acknowledge this amazing planet we call HOME, voice their concerns for the planet and take actions to protect it. The first Earth Day was celebrated in 1970 and since then, Earth Day Network now works with over 22,000 partners in 192 countries to broaden, diversify and mobilize the environmental movement. 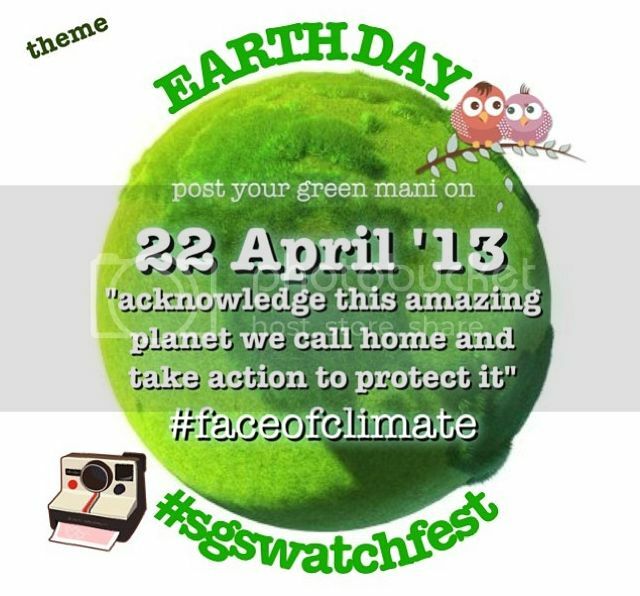 Tying in with Earth Day, the theme for today's #SGSwatchFest is to wear a mani featuring green. Before I go on, here's big thank you to A Lacquered Affair for hosting and organizing today's #SGSwatchFest and for creating such an artistic artwork. 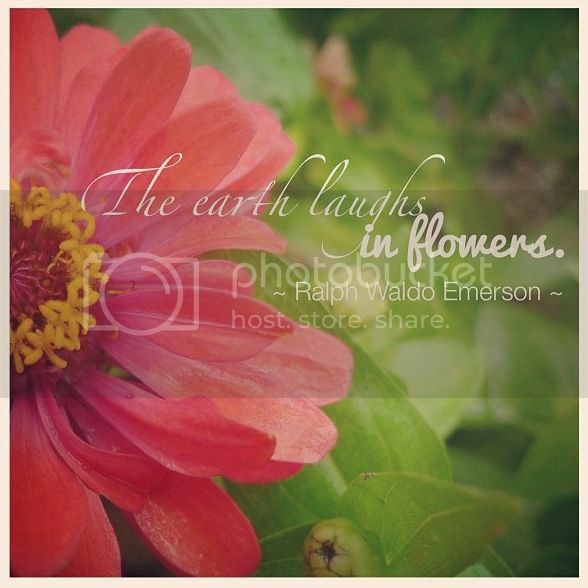 Rather than just wear a green polish, I took inspiration from one of my favorite quote by Ralph Waldo Emerson as shown in the photo below which I posted in Instagram way back in April last year. 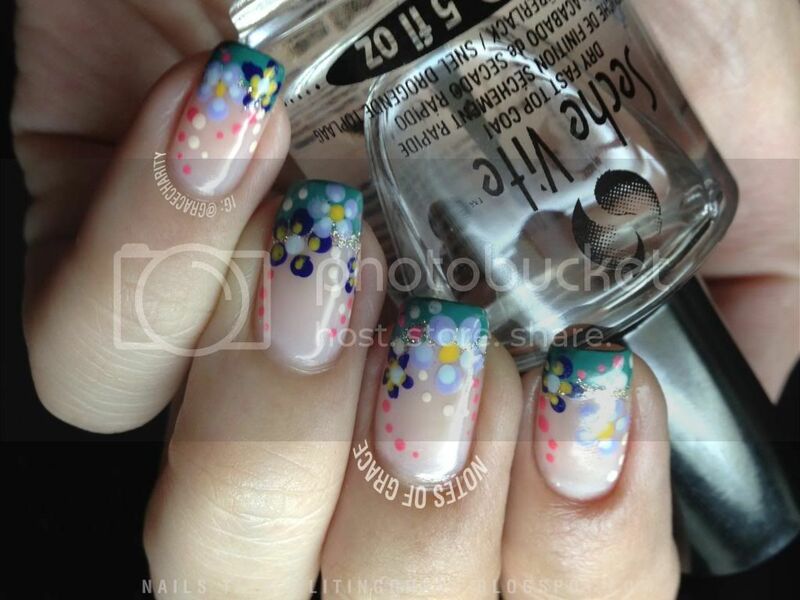 It's been many years since I created a floral nail art. 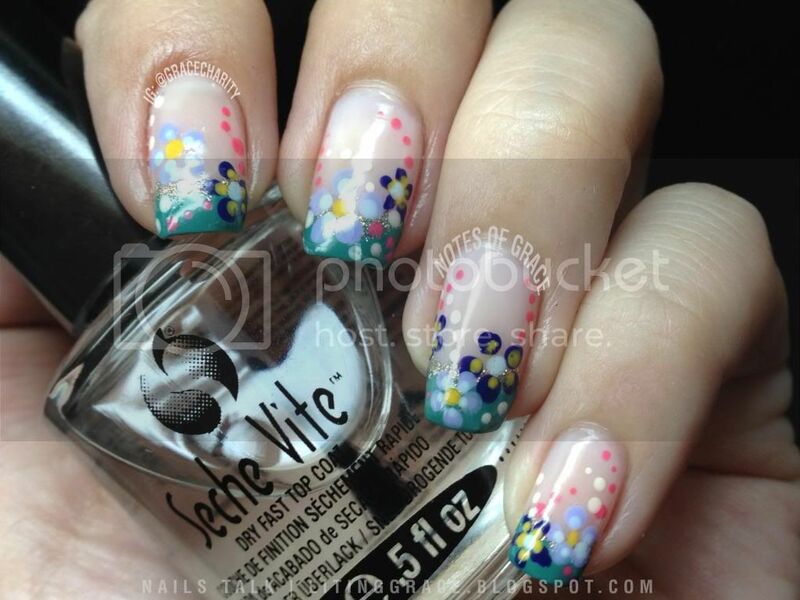 Back then, when I first got interested in nail art, floral nail art were my favorite creations. As time went by, somehow I stopped painting flowers on my nails. While organizing my stuff the other night, I came across my file of nail art which I had created back then and looking at the floral nail art, I wonder why I stopped painting them. That and the quote that came to mind gave me the inspiration for today's mani. I started off with a double French mani with two coats of China Glaze Faith from the United in Purpose 2012 collection, a sheer milky pink polish; for the tips, I painted two strips of Ulta3 Emerald Green which I'd purchased when I was in Perth last year and then added China Glaze I'm Not Lion to the top of the strips. 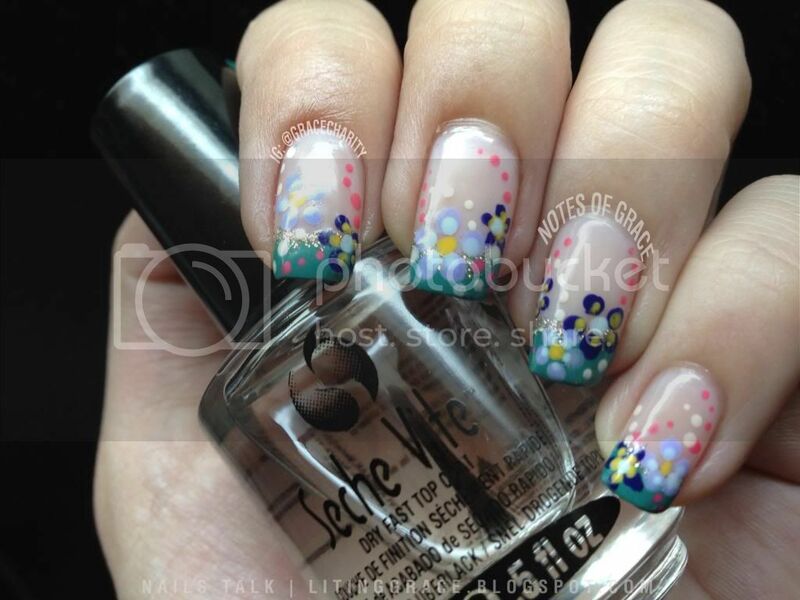 Once the double French mani was done, I then used the dotting tools to create the flowers. Majority of the colors used for the flowers were from the recent OPI Spring 2013 Euro Centrale Collection; OPI...Eurso Euro, You're Such A Budapest, My Vampire is Buff and Suzi's Hungary Again. Other colors used included OPI Gargantuan Green Grape and The "It" Color. I then finished off with a coat of Seche Vite top coat. All the photos were taken under a daylight lamp without flash. I have to admit, I actually like the color combination and I feel really happy just looking it. This is not something which I have worn in recent years but after today, I do see myself going back to creating of similar nail art. Back to Earth Day, the focus for this year's campaign is on climate change and how its impact on Mother Earth. Like it or not, climate change is already impacting everyone of us and places around us. Freak weathers and natural disasters are a frequent occurrence with the Sichuan earthquake being the most recent. Let us do our part, not just today but everyday, and do what we can to protect the environment and this planet we call home. Let us love Mother Earth like how we love our mothers. Remember that no actions are small, with everyone's actions, it will add up to something big. Before I end this post, below's a re-cap of the colors which I'd used for this mani. Don't forget to check out #SGSwatchFest on Instagram to see the other polish-holics have come up with. Till the next, have a blessed and lovely Monday!